We are so excited about the truly amazing group of talented and exceptional crafters we have to lead our workshops. Our teachers are an extraordinary collection of clever, creative people passionate about their craft and bursting to share the joy and meaning a craft practice can bring to your every day. With their generous guidance and crafting expertise they will help you to learn, practice and master many new skills. We are excited to introduce them to you and know they will inspire you as much as they do us. Elizabeth Barnett is a visual artist whose practice encompasses printmaking, painting, and illustration. Elizabeth’s primary training in Printmaking has instilled in her an appreciation and love of fine materials and classical techniques and processes. Her work depicts intimate domestic spaces filled with exotic and interesting plants, colour, treasured objects and furniture. Elizabeth has always loved art and craft from a very young age. Both her mother and grandmother painted, sewed, knit and embroidered, her Grandfather is a woodworker and her Gran was a painter and china repairer. When Elizabeth was pregnant with her first child the knitting bug really took hold and she taught herself anything she couldn't work out in a pattern from YouTube. Her knitting really went to another level after taking some knitting classes at the Craft Sessions back in 2014. Embroidery has always held a special place in her heart. It is something that she always comes back to, whether it be incorporated into her textile collage artworks, for pleasure or to decorate one of her children's items of clothing or a kinder bag. Elizabeth recently moved to the Macedon Ranges where she now works from her home studio. In her spare time between raising kids, tending the farm animals and garden, she knits obsessively to find inner calm, sews and embroiders. All of it brings immense joy and fulfillment. Joanna Fowles is a textile designer, researcher and artist based in Sydney, Australia. 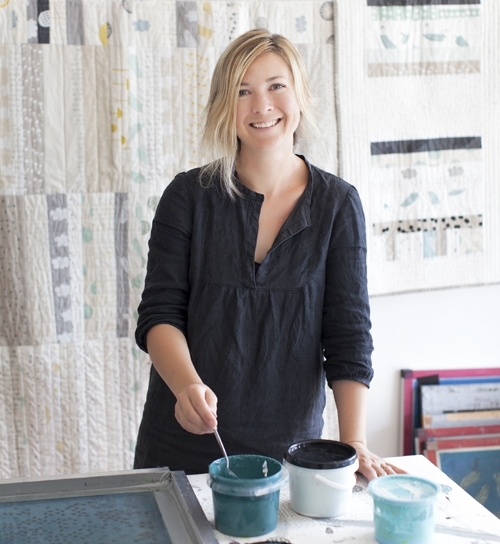 She is a true person of process with a focus on hand elements: natural dye, mark making, hand screen print, indigo and shibori resist techniques to create abstract geometric artworks and textiles. 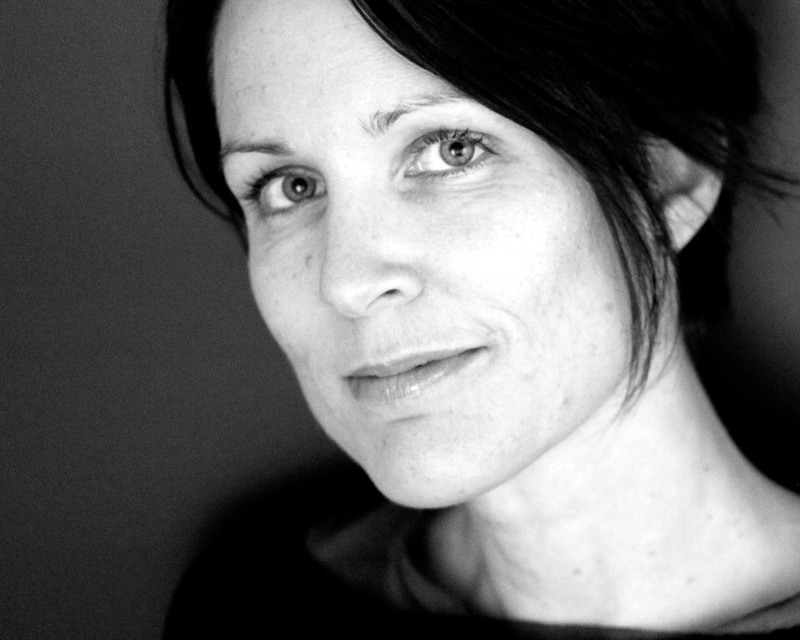 With over fifteen years in the design industry, she has sold and exhibited her work internationally. Having been a maker and collector as a child, Hannah dabbled in quilting throughout her studies and career until she found knitting and hand dyed yarn. Circus Tonic Handmade was formed in 2014 after a break from many years studying molecular biology and working in the field of genomics. Everything stopped. Friends laugh that I have acute tunnel vision; PhD, a quilt for every new baby born in our circle, twelve broad bean plants at once, three children in four years….but they had seen nothing until I had the opportunity to run my own hand dyed yarn business from home! All my collections past and present, love of natural history, colour and community come together on a daily basis dyeing knitting yarn that travels the world. So much of the joy starts in the inspiration for the colours and my focus on Australian native birds has sparked a real interest and sentimentality in our beautiful environment within my customers. The planning, prepping and slow methodical work of a dyer is very reminiscent of old laboratory days so it suits me down to the ground. At this point, my love of the knitting and yarn community seems to know no bounds! A knitter and sewer since childhood, Rebecca took up spinning after the birth of her first child as a way of making the overseas yarns she coveted, more cheaply herself. The world she fell into with that first lesson, has fascinated and compelled her ever since. What started as a frugal way of resourcing her knitting, became an adventure transforming the way she thought about the land, animals, self-reliance and the pace of making. 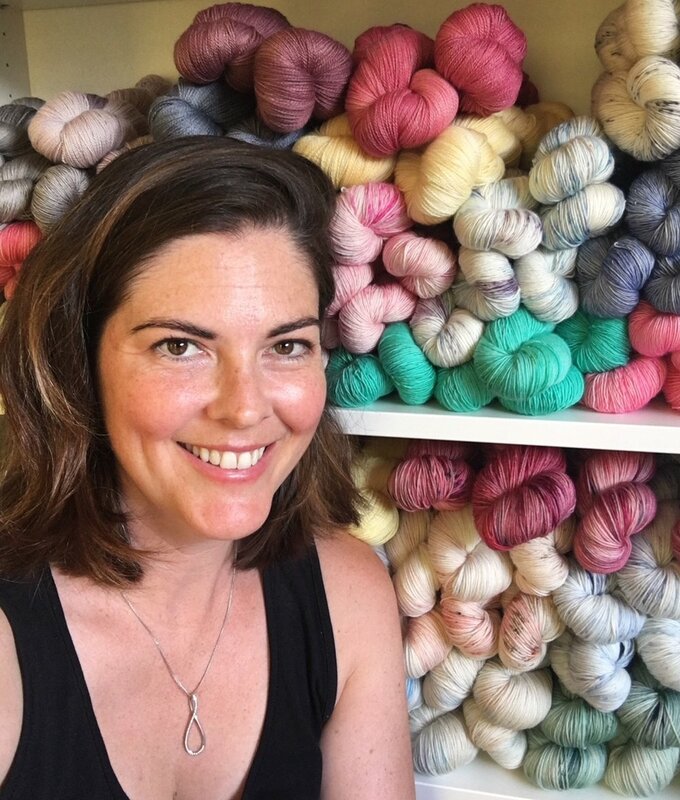 Rebecca is passionate about making connections with local farmers, spinning from fleece, and dyeing with local plants to create sustainable yarns that are both durable and beautiful. She shares her experiences on her blog Needle and Spindle. Rebecca is a graduate of the Handweavers and Spinners of Victoria, Certificate of Spinning, teaches the joys of spinning and has published in international spinning journals. She lives in Ballarat. Originally from the UK, Adele has called Australia home for the past 9 years. Adele's has worked as an art teacher for many years, teaching all levels of children and adults in schools, art centres and galleries. Taught to knit by her mum as a way of keeping her busy during the school holidays, Adele was fortunate enough to have knitting in the primary school curriculum, which also had a very cosy knitting corner. All her friends from primary school still knit! Adele took up knitting again after the birth of her daughter where she lived next door to a wool shop. Picking up some super chunky acrylic yarn and big needles, she was away. Since then Adele has never stopped knitting but her fibre choices have improved. Adele started spinning a few years ago primarily as a way of learning about the fibre she was knitting with, but it quickly became a passion in its own right. Adele recently completed the certificate of spinning at the Guild of Handweavers and Spinners and after a year of complete immersion, with tutoring from the most inspiring teachers, she realised she had barely touched the surface. Mary Jane Mucklestone loves to knit, especially with color. She's the author of 4 knitting books 3 exclusively featuring stranded colorwork. Her first book 200 Fair Isle Motifs was an instant classic and has been translated into many languages. 150 Scandinavian Motifs, and Fair Isle Style a contemporary take on colorwork featuring 20 projects from 18 popular designers, are also popular. Her new book Geo Knits gets back to her knitting roots, when the craft was new to her and she approached it through the shape of things! Mary Jane travels the world to study traditional knitting techniques and to learn more about the history of the craft. She's a popular teacher specializing in lively, fun and informative classes. She feels lucky to be invited to teach all over the world, and is eager to share knitting knowledge with her students. She aims to give students the courage to try something new! Mary Jane's inventive hand knitting designs are featured in many books and magazines as well as on her website. Jules taught herself to knit twelve years ago in an attempt to keep warm while working outdoors in horticulture- and soon found most of her spare time being spent knitting! Travels in Shetland and time with inspired teachers further fuelled a love of traditional techniques and working with colour... and it is the reworking and combining of these old skills and techniques with simple, clean design and materials that most inspire her. Jules firmly believes that the transfer of skills and knowledge is essential to the ongoing development and elevation of the craft. She has taught knitters of all levels at several Melbourne crafty schools and, since moving to Scotland with her husband in January, will be sharing her take on knitting and natural dyeing with a whole new community. Always learning, she recently released her first design and has a large backlog of idea to get onto her needles! Knitting and plants, her two loves, come together in plant dyes, as well as botanically-inspired colourwork for her recently-launched label, woollenflower. You can find Jules at www.woollenflower.com. Nita-Jane McMahon is the creator of the sewing pattern label Pattern Fantastique. After years working in the fashion industry as a pattern maker and designer, thanks to the arrival of her two children, Nita-Jane re-emerged as a home sewist. Wanting to join the world of fashion design and home sewing Pattern Fantastique was conceived. Growing up in Perth Nita-Jane was originally taught to sew by her mother. The op-shops were bountiful and supplied many vintage patterns to learn from. Moving to Melbourne in her late teens and eventually cracking the fashion industry working mostly for labels that manufactured on-shore was a great opportunity to work closely with manufacturers and learn the best processes for cutting and sewing. She has cut many tailored jackets and crazy lacy numbers. Keeping the ideas big and the footprint small Nita-Jane lives in her tiny house in Melbourne with her Partner Ben, two lovely small people and a fluffy cat named FoxyBoy. You can find Nita-Jane at Pattern Fantastique. Helen has always loved creating and she learnt the basics of sewing from her Mum as a teenager living in the UK. Helen rediscovered the craft six years ago after being gifted a bag of fabric offcuts from a friend and finding the rich learning opportunities available via the online sewing community. Helen enjoys sharing her passion for sewing with others. She has been teaching at her local neighbourhood house Makers and Menders Group for the past four years where she has worked with people of all levels and a range of life experiences. Living as sustainability as possible is important to Helen and she enjoys sourcing fabric, notions, and patterns from op-shops or swaps. As well as having a reduced environmental impact, she also believes this encourages creativity in the making process. When she’s not sewing, teaching or working at her uni job, Helen can be found pottering around her suburban backyard veggie garden with her duck and chickens. Kate James is a contemporary artist who works in a variety of media to make objects and sculptures, textile works and works on paper. She is attracted to repetitive and painstaking techniques, often adapted from uncommon, sometimes obsolete, craft practices. She enjoys the challenge of learning new skills from books and has utilised horse-hair hitching, Victorian mourning hair-work, Mexican rope-making and botanical dyeing in her work. She has exhibited throughout Australia and the UK and has work in private and public collections. Kate is represented by Daine Singer, Melbourne. In recent years Kate has conducted numerous workshops (sometimes in conjunction with her sister Clare), including botanical dyeing, flower arranging and festive season crafting. She lives in the Yarra Valley with her husband, two children, a cat, a dog and two horses. Studio Potter, Artist Philippa extends her ceramics practice of hand-carved, hand coloured inlayed porcelain works with meticulous small scale basket weaving. Created are Woven Ceramic Vessels and Contemporary Jewellery, that are both elegant and grounded. Forged with respect for the media, her work is steeped in traditional Craft teachings, inspired by Artefacts & Archeology, Natural Forms, Modernist Design and the Sea. The delicate basket weave stitches in cotton and paper silk yarn connect and surround their porcelain counterparts. Combining the honest utility of weaving with the elegance and purity of porcelain, she focuses on creating a material connection between strength and fragility. Philippa trained in Craft during the 90's, at the Peninsula School of Art, Monash University. She graduated with honours and has pottery in the personal collection of Dame Elizabeth Murdoch. Ambah designs contemporary knitwear patterns, with a nod to retro and geometric design. Patterns that are straight forward to make and fun to wear. Ambah spends much of her time dreaming about her next favourite shawl - the accessory she most loves to design, knit and wear. Making is her happy place and has been since she was a girl surrounded by the chaos of her mother’s textile art and design. Her mother had a basket of fabric that was taller and longer than Ambah that she could literally dive in! Ambah has a background in painting, and a passion for colour and interesting design. In knitting Ambah has found a craft that resonates deeply within her. Her knitting designs come from both a practical need - wanting to create items for herself and others to wear, and also a compulsion to express myself creatively. She is influenced by everything around her; fashion, nature, beautiful yarn, favorite artworks. When not designing she’ll be wandering about her vegetable garden, nearby bush or perhaps a little escape to the beach. Ambah lives in a regional town in Australia, with a vibrant artistic community, with her architect partner and their beautiful son. Belinda was born in Melbourne into a creative family and grew up surrounded by people who handcrafted beautiful things. Her mother sewed their clothing, grandfather made furniture from reclaimed wood, grandmother knitted their winter garments. As a teenager, she moved with her family to the Sunshine Coast hinterland in Queensland. Surrounded by nature and a diverse creative community, she continued to explore new creative mediums, including glass blowing, woodwork and ceramics. After studying information technology, sociology and environmental studies, she went on to work in sustainability education in Melbourne. She still works in sustainability education, and also with her own label Alchemy. Combining traditional techniques with a modern design aesthetic and sustainable living principles, Belinda works mainly with wood, clay and natural fibres to create minimal, organic jewellery and textile art, and is constantly experimenting with new mediums and techniques. She weaves daily and her woven tapestries, made primarily using reclaimed and found materials, are inspired by the Australian natural landscapes that she visits on her regular travels across the country. Her work has recently been featured in editorials in Peppermint Mag, Yen Magazine and The Big Issue Taiwan. Through her work, Belinda aims to inspire others to live sustainably without compromising on quality and aesthetic, explore their own creativity (through whatever medium that may be) and bring joy and beauty to every day life. She is also an unstoppable forager of flora, wholefoodie and explorer of the natural world. Growing up on a farm in North East Victoria, Kirsten was encouraged from a very young age to sew and knit clothes for herself and her dolls by her creative mum. After completing her Architecture degrees in Canberra and Melbourne, she explored many hands-on creative mediums in her spare time including ceramics, etching, photography, screenprinting, sewing and a return to knitting. These days, Kirsten explores her modern aesthetic as a practising Architect and knitwear designer. She has an eye for flattering forms that are deceptively simple yet frequently transformable, garments with a distinctive urban edge yet elegantly wearable. She self-publishes her sophisticated knitwear designs predominantly for women under the Assemblage label. She has designed knitwear for numerous international companies, including Amirisu (Japan), Blue Sky Alpacas (USA), Brooklyn Tweed (USA), Quince + Co (USA) and Shibui Knits (USA). Kirsten lives locally in Melbourne with her gorgeous family and loves coffee, modern architecture, natural fibers, the Australian landscape, travelling and salted caramel gelato. And knitting. Always knitting. Anna Maltz is an avid sweaterspotter and icecream aficionado. She writes a regular column in PomPom Quarterly and knits everywhere she goes. She gets around by bike in handknit woolly jumpers and otherwise handmade and/or secondhand everything. Coming from a long line of artists, weavers, architects and assorted other makers, boredom was never an option. Anna calls London home and is the first of her family to be born in Britain. After doing her time knitting in the art world she sidestepped into designing knitting patterns infused with an engagement in the joy of making. Teaching has always been part of her career with a particular focus on playing and encouraging independence and experimentation. Knitting satisfies her love of technical intricacies, a good puzzle, hands-on activities, community, colour and ideas. Originally from Montreal, Canada, she settled in Melbourne in 2011 after a brief holiday. Having fallen in love with the Australian craft community, Ophelie now teaches knitting in Melbourne, and can be found roaming the aisles at local fabric and yarn stores. Ophelie works in web development and publishing. While most of her weekdays are spent arranging pixels, she takes great comfort and joy in creating physical objects out of textiles, and moving away from the computer for a bit. The intricate beauty of seemingly complex lace patterns are especially attractive to her, and she most enjoys adapting traditional patterns to take them in new directions. Clare discovered her passion for knitting as she wandered along the trails of the Bibbulmun track in Western Australia back in 2011. Since then, wherever she’s wandered she’s taken her yarn and a pair of pointy sticks with her. Originally from South Africa, Clare was born with a wandering spirit and has spent most of her adult life on the move. Most recently she called the UK home, where she spent her days honing her knitting skills and often wearing all her knitting at once to keep the chills at bay. She has recently settled in Melbourne and is looking forward to making it her next home. After always insisting she would never knit socks, Clare decided to give it a try and found she rather liked it. So much so, in fact that she started to design them to occupy her mind when her daughter was born. In 2014 she published Sock Anatomy, a collection of sock patterns focusing on sock construction. Since then she has continued to publish designs that are both a joy to knit and a chance to learn some new techniques to add to your knitting repertoire. Clare has shared her love of sock construction and knitting in general, through workshops in Scotland and London. When she is not knitting Clare can be found, fulfilling her two other creative passions, writing about knitting or taking photographs of knitting. Alichia van Rhijn is an artist based in Central Victoria. She runs a small arts-based practice from her Kyneton studio under her brand Hearth Collective. Hearth Collective is a multidisciplinary studio which produces various handcrafted goods ranging from ceramics, woodwork and metal casting. Although primarily self-taught, Alichia has a background in Architecture and Design, and is currently completing a Diploma of Ceramics at Holmesglen. She has always had a strong passion for aesthetically pleasing objects and the processes in making them. Her natural progression into craft was a culmination of the pure enjoyment of making and the satisfaction in creating beautiful objects. Alichia is deeply passionate about nature and draws a lot of her inspiration from the natural environment around her. The connection to nature and her immediate environment is a fundamental aspect of her practice. Australian native flora has been a huge inspiration in her work, from which the subtlety of overall aesthetic and the contrasting complexity of biological design, inspire a progression in her own handmade wares. Anna has been crafting for longer than she can remember! She was very lucky to grow up in a family in which making beautiful, useful things was normal and they were encouraged to try to make the things they wanted or needed, whether food, toys, clothes or music. Craft is a part of her everyday life, as opposed to a hobby for spare time. Anna really believes that anyone can learn to make things with their hands. She thinks craft is mostly a combination of practice and, like most creative endeavours, a little bit of courage. It is so satisfying the first time a new skill or technique ’clicks’ and something that started off feeling awkward and clumsy suddenly feels natural, or when an idea that has lived in your imagination becomes real at your own hands. Craft gives Anna a sense of connectedness to the (mostly) women of the past who have gifted us an amazing legacy of combined beauty and function. Anna is currently studying and lives in Melbourne with her gorgeous partner, their two beautiful children, aged ten and five, an enormous fluffy cat and four guinea pigs. Melissa has always loved to make things and has been writing her online craft blog, 'tiny happy' for about 6 years. Her special love is embroidery and the natural world – her handmade textile work has been sold online and in galleries and design stores internationally. She has contributed (via illustration, photography and text) to online and print media including Extra Curricular magazine, Spoonful, Fantale music and Action Pack. Her work has also been featured in NZ House and Garden, North and South, Your Home and Garden, Frankie and Homestyle magazine, in the book Crafty Girls Talk by Jennifer Forest and on Radio NZ National. Last year, Melissa published a beautiful craft book in the USA called 'Sweet and Simple Handmade' which focuses on making things for children and recycled textiles. She also works as a journalist writing about science for teachers. Melissa lives in Wellington, New Zealand with her partner and two kids Arlo and Keira. Beattie is a fashion and textile designer maker by trade. she makes all her own collections from scratch and they all contain a love of slightly wonky hand stitching, natural fabrics and unique textile prints. Her love of making was forged as a child with her parents and sister, who spent weeks of holidays at beach houses with no tv. Her mother is a great creative woman and her father is a handy architect, making beauty out of found objects is a family tradition. Beattie studied bachelor of design in fashion and textiles at UTS, graduating with honors in 2003. She has since worked for a gentleman's Shirtmaker in London, a furniture company in Sydney, started her own label Beattie lanser. She began selling at paddington Markets in sydney and various design markets around the east coast of Australia, before opening her own shop in Manly, NSW in 2009. All her garments were made in the studio by her and the textile prints were printed in Sydney's inner west. A highlight was a collaboration with the Harvest Chicks in 2012 where they made a small collection of melting icecream jumpsuits! She closed the shop to instill a love of design and making in young people in 2012. She currently lives in the southern highlands of New South Wales teaching teenagers design and art. Beattie has a love for sewing and making and country life has given her more time to pursue some new making such as wood work and growing vegies! Four years ago, Sophie's long-time love for colour, pattern and design took on new life when she embarked on the challenge of buying no new clothes for a year. What emerged was a fully-fledged love affair with sewing and soon after the start of a blogging journey, as author of Cirque Du Bebe. Sophie describes her blog as a celebration of sewing and a creative space to share and document her hand-made projects as well as connect with a world wide community of 'crazy sewing ladies'. In a few short years Sophie has gone from nervous beginner sewer with barely a straight stitch to her name to recently winning the international Survivor-like sewing competition Project Sewn. Sophie's 'live it, breathe it' attitude to sewing is contagious and she believes that creating a hand-made wardrobe to rival anything store bought is within everyone's reach. In between dreaming up the next project, Sophie can be found building elaborate lego cars with her two young boys or inspiring others into sewing action at her local, 'gourmet' fabric store. Mel taught herself to crochet 4 years ago with a sudden and desperate need to make a granny blanket! As a fulltime mum, it was a creative outlet, something she could do for herself during ‘quiet moments’ and something that was easy to pick up and put down amidst constant interruption and the busyness of daily life. Crochet became a part of her everyday. Mel would organize children and dinner and household chores as quickly as possible so that she could sit and crochet, making accessories and homewares for family and friends, and for a while supplying several local stores. She loved the buzz of selling her pieces, it was a great compliment to have people wanting to purchase things she'd made. After lots of experimenting with colour and pattern, Mel always comes back to her favourite simple, basic designs in natural earthy tones, that’s when she enjoys it the most. Mel lives on the coast with her husband and four kids. Her husband recently left a corporate career and they have started their own business in the hope of living more simply with a better family / work life balance, it’s a work in progress. You can find Mel at Loved Handmade blog.